If you’re planning on going to India, there are a lot of things you should do in order to properly prepare for the trip. With this guide, you’ll be able to stay organized and get all the boring things out of the way, so you can focus on having a great time once you’re there. This is probably one of the hardest things to decide on if you haven’t already thought of exactly where you want to go. India is packed full of such variety, there are so many things to see, and choosing where you want to go all depends on how much time you have. If you know you’re staying for a while, you have the option to move around a lot more than if you were only staying for a few days. It’s a good idea to get a guide book as this can recommend areas to stop in, as well as what you can do while you’re there. A lot of people don’t actually like to book flights and trains in advance because they see it as a restriction, especially if they decide they want to go somewhere else instead, or even stay where they are for a little bit longer than planned. But it’s very wise to book in advance because the number of people traveling to and from India has increased an awful lot. Even more so by train, as the prices have been dropped a significant amount. The more popular the train route, the more likely it is to be filled in within a short period of time, so make sure you book before it’s too late. 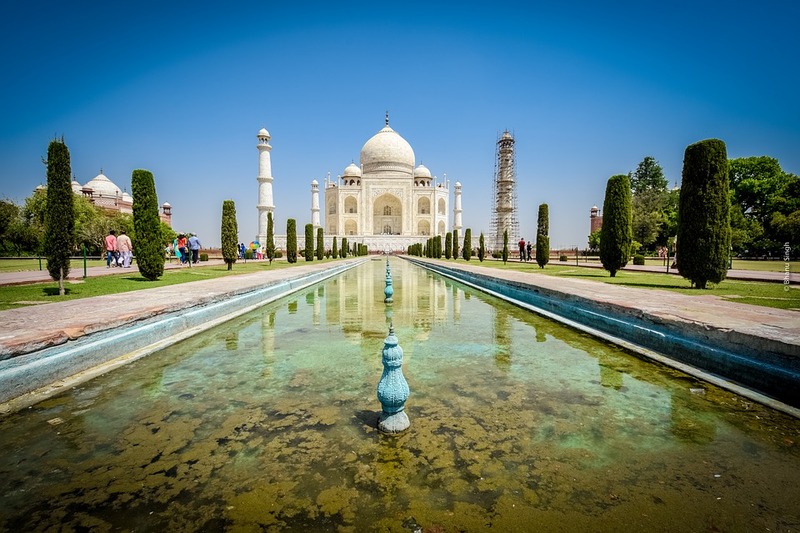 It can be very tempting to wait until you’re in India to get your hotel, because you can try and get a better deal by negotiating rates, but if you’re going to a larger city, it’s best to book your accommodation beforehand, otherwise it may just end up causing you too much hassle. You want to be able to go straight in and find you room after hours of transport, rather than messing around walking the streets trying to find a good offer. Another benefit from booking online before you arrive is that many companies have deals connected to flights, so you may end up paying a lot less if you book the flight and the hotel together, than if you do it separately. So that’s definitely something you should think about. Your health is always your number one priority when planning a trip overseas. Depending on where you go will also depend on what preventions you should take, so speak to you doctor so you know what kind of injections you will need before going to India. The dates of when you plan on going are also very important, so make sure you have the right information otherwise you may not be getting everything you need. Anyone who plans of traveling will need a Visa For India unless you’re already a citizen. You will need this before you arrive in the country, otherwise you won’t get in. If you only plan on staying for under 72 hours, then you can obtain a Transit Visa instead. When you start packing for India, it’s important to consider the country’s dress standards. We all know that certain body parts are covered in India as a form or respect, now whether or not you plan on doing this is entirely your choice – it’s not your culture, so you can wear whatever you want. But having said that, it’s always nice to make an effort and show your respect to other people’s beliefs. Don’t forget to pack any medication that you take, along with personal care items and money. It’s also a good idea to bring some plug adapters for any electronics you may have. If you’re in a big city, then taxis are probably the best way to get around. Not only do they know the best routes to take, but they are extremely cheap too. If you’re getting a taxi from the airport, you should use a pre-paid service to avoid the risk of being scammed. Trains are known for being very overcrowded and pretty old. They’re fine for short trips, but you probably won’t want to travel a long distance on them, especially not overnight, because it definitely won’t be the most comfortable night you’ll have. Whatever you do, don’t drink the tap water, even if it’s filtered doesn’t mean it’s 100% clean, so it’s just not worth the risk of getting ill. This means ice cubes too, so tell them not to put any in your glass if you’re ordering a drink in a restaurant. Always have travel insurance when you go abroad. No matter how fit and healthy you are, you can never know what may happen when you’re away, so it’s better to be safe than sorry. It has been reported that assaults on women in India have increased, but because of this, there are now extra safety precautions that have been made. For example, there are now women-only rooms and floors in big hotels that are offered to any female travelers and guests. Avoid looking at people for too long, as this can be considered rude, even if you’re smiling. So if you feel eyes on you, don’t feel the need to stare back, just keep on walking in a polite manner. Do all the research you can about India and the places within it. The more you know about the area, the safer you will be. So familiarize yourself with the local information, as well as the dangers and even scams that take place. Don’t walk around with your valuables on show, so that means any expensive jewelry or gadgets you may have – keep them hidden; otherwise you will just be asking for trouble.